A special edition of the unofficial Walsall Football Club podcast One Pod Beyond has been released, and you can listen to it below. Underfire Walsall manager Jon Whitney has spoken to BBC WM Sport following Saturday afternoon's disappointing defeat to title-chasing Shrewsbury Town, and admitted that the result, which saw the Shrews secure their first league victory over the Saddlers since 2012, was a difficult one to take. Underfire Walsall manager Jon Whitney has spoken to the local press ahead of this weekend's League One clash with title-chasing Shrewsbury Town, and vowed to keep fighting - insisting he is determined to prove the doubters wrong. 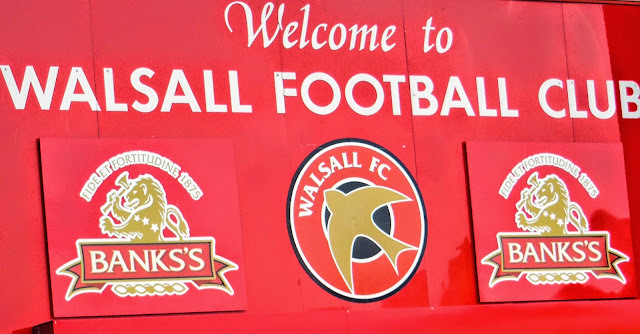 Walsall manager Jon Whitney has called upon his squad to make the most of their remaining twelve league games, starting with Saturday's clash with Chris Powell's in-form Southend United.